As we mentioned last week, October is Protection Month, and to help you keep the gadgets you love up and running, every Wednesday this month we’ll be posting tips and tricks to maintain your favorite electronics. Check out our post from last week about kitchen appliances. Fall is upon us, which means the holidays are just around the corner. From taking the perfect picture for the Christmas card to documenting Thanksgiving dinner and capturing family reunions, our cameras are an essential part of the holidays. With the hustle and bustle of the season, your camera could easily break down from accidental damage or defects in the material. Asurion sees a nearly 50% increase in claims filed on cameras every year in November, so there’s a pretty good chance your camera won’t live to see the new year. It’s important to keep the outside of your camera clean and free of dust, sand and dirt, which can jam up the movable parts of your lens and buttons. 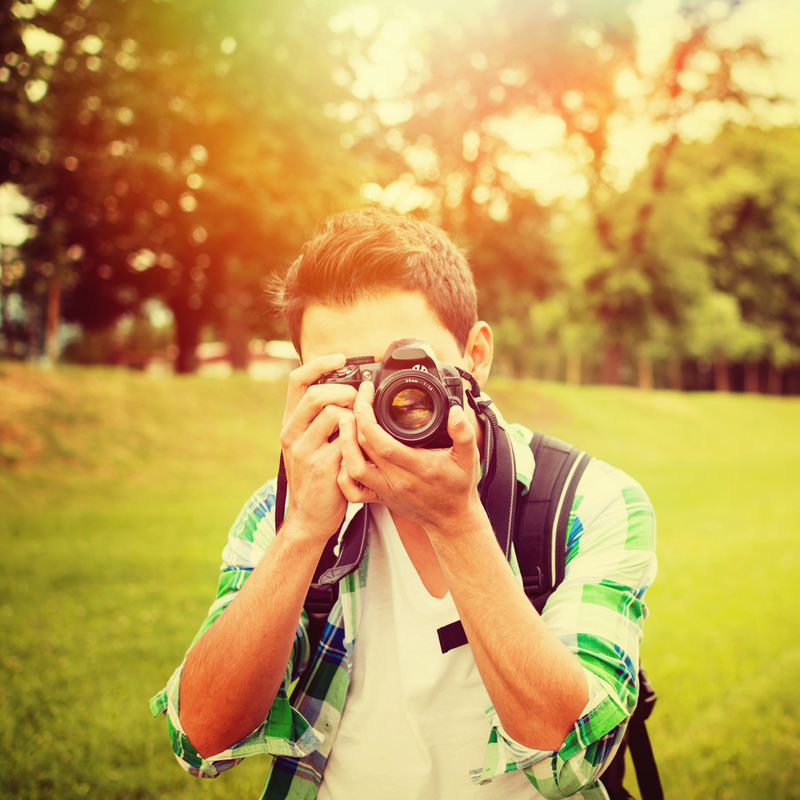 Each time you use your camera, take a second to wipe down the body of the device with a soft lint-free cloth. Use a hand blower to get rid of dust and wipe it with lens cleaning paper. Don’t forget to wipe down the eyepiece and LCD monitor so your pictures always look crisp and clear. You should also check your manufacturer’s cleaning instructions for tips specific to your device make and model. Don’t you hate it when you step inside on a chilly day and your glasses fog up from the sudden rush of warm air? Well the same thing can happen to your camera, especially during the cold winter months. To keep your lens from fogging up, keep your camera in a bag with the lens cap on where it’s not directly exposed to the elements. It’s also a good idea to wait for your camera to acclimate to the surrounding temperature before snapping some photos. The best way to prevent bumps (or bangs) and scrapes on your camera is to keep it in a safe place. Store your camera in a well-padded bag to protect the lens and body. If you don’t plan on using your camera for a while, remove the battery and memory card and keep them in a cool, dry place that’s well ventilated. Just make sure your battery is fully charged before putting it back in the camera. Thinking of getting a new camera, or buying one as a gift this holiday? Be sure to get product protection from your retailer so you’re protected. Check out Asurion.com/extended-warranty/for more information.